This unblock service for network AU KDDI Japan for IPhone 4,4S,5,5C,5S,6,6+,6S,6S+,7,7+, SE with any imeis. This unblock service for network Softbank Japan for IPhone 4,4S,5,5C,5S,6,6+,6S,6S+, SE, 7,7+,8,8+ with Clean imeis. If you need unlock IPhone Softbank with any imeis - use this service - Unlock Softbank (Any imeis) Premium If you don't know what network your phone is locked.. 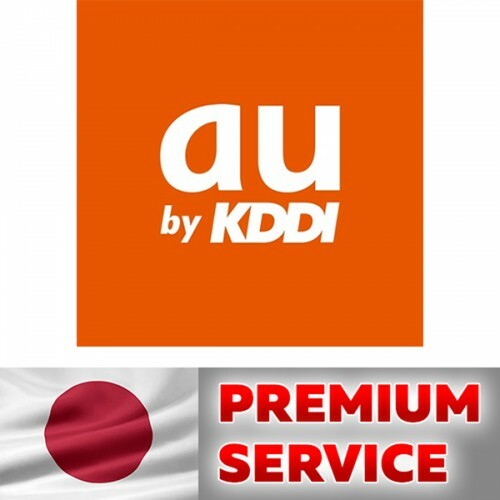 This unlock service for network AU KDDI Japan for IPhone 6S,6S+,SE,7,7+,8,8+,X with Clean imeis. If you need unlock IPhone AU KDDI with any imeis - use this service - Unlock AU KDDI (Premium) Wrong carrier orders - no refund! Check before purchase! If you don't kn.. This unblock service for network NTT DOCOMO Japan for IPhone 4,4S,5,5C,5S,6,6+,6S,6s+,SE,7,7+,8, 8+, X, Xr, Xs, Xs max with any imeis. If you don't know what network your phone is locked, do check with the help of this service - IPHONE CARRIER + SIM-LOCK STATUS If .. This unblock service for network NTT DOCOMO Japan for IPhone 4,4S,5,5C,5S,6,6+,6S,6s+,SE,7,7+,8, 8+, X, Xr, Xs, Xs max with Clean imeis. If you don't know what network your phone is locked, do check with the help of this service - IPHONE CARRIER + SIM-LOCK STATUS I..